The word oops is not in God's vocabulary. Isn't that great to know? God is in control. We, on the other hand, can't control everything that happens in our lives, even though we try. But there is one thing we can do, and that is forgive. We can forgive those who have wronged us. We can forgive those who have taken advantage of us. We can for-give those who have slandered us and made fun of us. We can forgive those who have betrayed us. You may think they don't deserve it. But remember, you have been forgiven. Therefore, you should be forgiving. Of course, you aren't going to feel like it at times. You may see him or her and feel your blood begin to boil. That is when you need to say, "As an act of faith, as a step of obedience to Jesus Christ, I forgive this person." I has been said, "To forgive is to set a prisoner free and discover that the prisoner was you." You should not only forgive to help that person, but you also need to forgive for your own mental and spiritual health. Just let it go. Put it into the hands of God and determine not to be tormented by it one day longer. 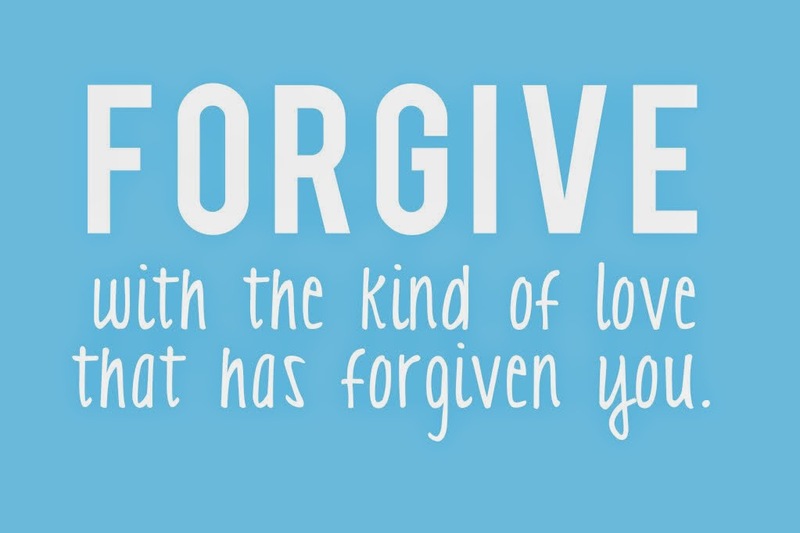 Is there someone you need to forgive today? Are you harboring a grudge toward someone? Forgive. Forgive whoever it is that has hurt you. As Ephesians 4:32 tells us, "And be kind to one another, tenderhearted, forgiving one another, even as God in Christ forgave you." Thank you Pastor Greg for this timely devotional!!! This speaks to all of us!!! We all need to make things right with the Lord before His coming. If you have had an argument even if you believe that you are right go and ask forgiveness and give it to Jesus so that you can truly be free from it!!! When the Son sets you free you are free indeed!!! Have a Simply Heavenly day!!! God bless you!! !